What is you use for touch your face when you make up? For make up best result you should use the brushes because it will make natural on your face, please don’t use your finger only. Nowadays there are so many brushes offering by cosmetics company, so that you don’t have to worry you can’t get the best. From the quality and the price. Morphe Brushes professional quality brushes made from a natural blend of sable and goat bristles 100% animal cruelty free and comes in a faux leather roll-up case. Achive flawless and precise coverage with the soft yet firm bristles of the morph make-up brushes, perfect liquid, cream, powder make-up. Morph 12 piece sable set includes a brow groomer, spoolie, flocked, sponge, pointed liner, brush, soft fan brush, smudger brush, oval lip brush, chisel fluff brush, oval fluff brush, tapered blush brush, and tapered powder brush. 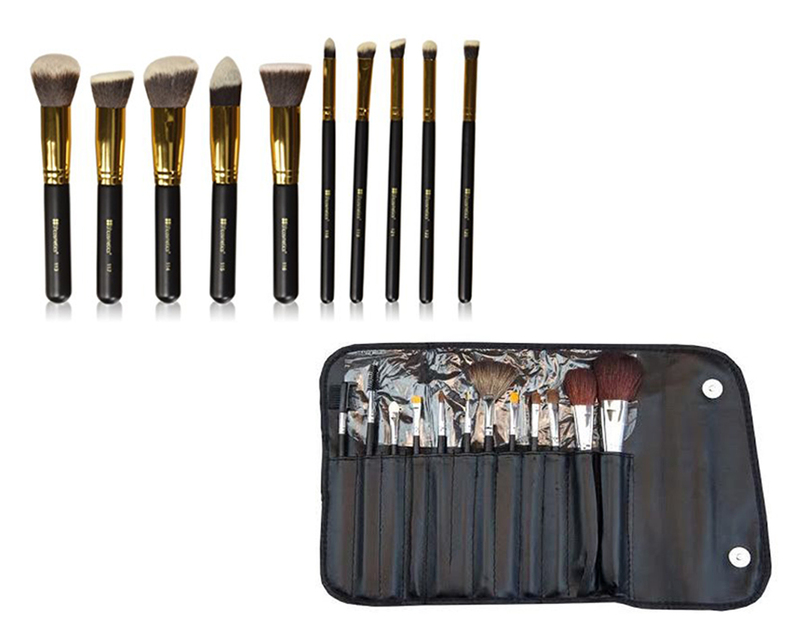 This brushes has the brushes’ pouch, like other make up brush set pouch color is black and it safe for the brushes. BH Cosmetics claim they provides high-quality make up at affordable priciest. BH Cosmetics Studded Contour in 12 pieces. It includes of large angled contour brush, flat buffing brush, precision blush brush, angled face shade brush, pointed foundation brush, large concealer brush, domed blending brush, fluff shadow brush, tapered blending brush, angled shading brush, pencil brush, angled liner & brow brush. It is actually multi-functional for face and eyes. It cruelty free synthetic duo fiber brushes. It has the uniquely carrying case design, I love it. Over all both of this make up brushes has the same functions but I prefer love BH Cosmetics. In some review of these product people more prefer to BH Cosmetics. I guess if you are a professional, I recommend you for choose BH Cosmetics, but if you are the beginner you can go with Morphe Brushes.